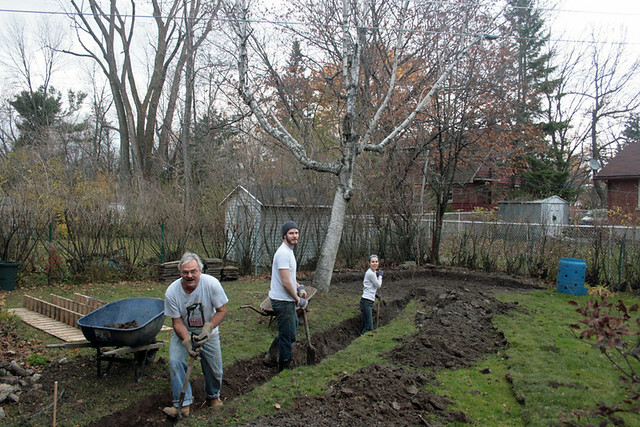 November 13, 2011 in "Life", "our house"
I spent my weekend digging up my backyard! Do I look like I'm having fun? I tried to keep a positive attitude and cheer on the boys (Chris and my dad did the majority of the work) but trust me, digging a trench, 4 feet deep and 40 feet long is no fun at all! Luckily the weather cooperated, and considering we're doing this project mid-November we are extremely lucky. What we've decided to do is tear down the little old shed that lived in the corner of our back yard and build a dye studio in it's place. The shed was very old and rickety, I did my best to cutesy it up (this photo was taken before the door was painted turquoise) but the truth is it wasn't very useful. 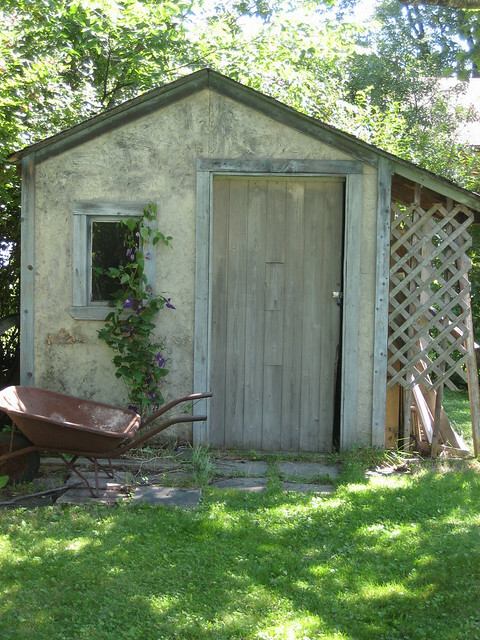 We have a garage where we are able to store the lawnmower and gardening tools that this little shed used to house. I don't think we'll miss it much. 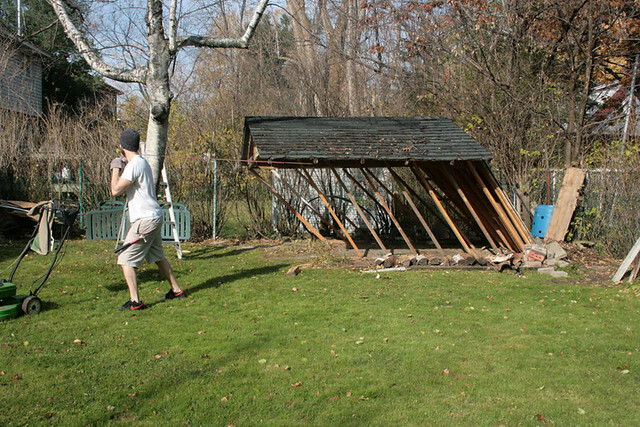 So, Chris tore down the shed and we spent the weekend preparing the yard for the work that will begin today! It shouldn't be that big of a project, we're working with the same great contractor who helped renovate our bathroom earlier this year. The most complicated part is running water and electricity from the house out to the new studio, hence the 4 foot trench. To put that into perspective for you, I'm just over 5 feet tall, 4 feet is deep!